Shane Shirley : The Sony Eco-TV - Why We Love It! The Sony Eco-TV - Why We Love It! The Sony KDL-VE5 Series has presence sensors that will actually shut the TV off when you leave a room. I hear every mom in America cheering, don't you? I know my girls are constantly leaving a room with the TV on and it makes me a little crazy. Every time I hear or see a television on, and realize no one is watching, I see green...and it's not the sustainable kind. I pay the electric bill and it always makes me realize just how much energy we are consuming. Even though Sony is using the Eco-label to attract buyers, I think it truly fits in this case. Hats off to Sony on an innovative job well done. You can see the read the full review of the Sony KDL-VE5 series HERE. I want one!! Hopefully the technology will become common place soon for all tv's. Thanks DLJ!! 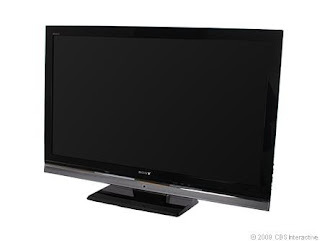 I do not think I have ever owned a sony but we need a new TV...so I am thinking this one is it.